9th October 1884 marked the end of Muteesa I’s era. He was the Kabaka who had invited missionaries to teach his people the art of reading and writing. But on his death bed, aged forty eight, lonely and succumbing to illness, he worried that his beloved Buganda would be lost to the hands of guests preaching the potency of a foreign God. Muteesa’s fears validated a warning, a premonition that a powerful storm was advancing. His sixteen year old successor, Omusiika Mwanga II faced growing internal religious strife amongst his own people: the Catholics, Anglicans, Muslims and traditionalists. He reacted in the most politically pragmatic manner when news of Bishop James Hannington’s intended visit reached him. The British Anglican Bishop James Hannington of the Church Missionary Society had made the controversial decision to take the eastern route through Busoga. It was widely believed in neighbouring Buganda, for generations, that conquerors of Buganda would appear from the east through Busoga. Thus any foreigner who happened upon Buganda via the east would instantly have been judged a threat to the kingdom. Mainstream narratives omit to tell us that Bishop Hannington had been warned by his fellow missionaries who were already settled in Uganda. Minister Alexander MacKay, a Scottish Presbyterian missionary, sent canoes on Lake Nalubaale to Kavirondo to meet him, and to warn him that his life would be in danger, should he insist on taking the eastern route from Busoga. But Hannington proceeded through Busoga anyway, disregarding the warning. Bishop Hannington’s death has been told and retold millions of times. Unfortunately, it is a one sided retelling that is not entirely true. But just like any other story from the 19th century, there is a missing piece in the Mwanga-Hannington puzzle. When explored in its broader sense, it reveals another understanding of the event: that Mwanga wasn’t entirely the bad guy he is painted to be, and Hannington wasn’t the naive saint after all. His death was a politically motivated killing rather than a religious one. Although the teen king Mwanga had limited diplomatic experience, he was a self aware statesman. He understood what was happening outside his country, especially in the nations surrounding Buganda. Mwanga suspected that Hannington was on a mission to eat up his kingdom. To the north of Buganda, the Egyptians had occupied southern Sudan in their mission to annex all the lands in which the Nile flowed, including Buganda. In the south, the Germans had taken the Tanganyika territory as their protectorate. In the west, H.M. Stanley, was advancing from Congo. In this state of imminent siege, with no one to trust except a few loyal Baganda aides, and judging that Buganda was under immense threats, Mwanga made the difficult decision any astute ruler in his context would have contended with in order to protect his terrain. So when news of Hannington’s arrival in Busoga, where the source of the Nile is, reached Mwanga, it confirmed his suspicions. Mwanga has been described by the first missionaries and Sir Apollo Kaggwa as passionate. A man whose one desire and object was to live his own life to the full. But which sixteen and seventeen year old doesn’t aspire to this? What was even more bizarre were portrayals of him as a gigantic older man to give credence to allegations that he was simply a brutal tyrant. Like many African children during the age of imperial expansion, being cast as an adult functioned to deny Mwanga his childhood. In a way this prejudice acted as a foil against those who resisted the purported civilising influence of colonialism. To that effect, no known picture of Mwanga as a teenager has yet surfaced, yet those of his father in his late twenties exist. Bishop Hannington’s objection to MacKay’s advice was consistent with imperialistic character. Hannington wanted to have things his way, and his arrogance seemed to say, your tradition is bad, am coming to show you how to live a perfect life, so open the eastern gate for me. He obviously understood the dangers of his decision, so it is simplistic to assume that he was the naïve party here. One author dispels the false rhetoric that Mwanga arrived at the Hannington resolution on his own. According to the scholar Samwiri Lwanga Lunyiigo, it was by way of a consultative meeting, and with the consent of his senior Chiefs and Prime Minister, Mukasa Nsimbe. This political participation is evidence of an advanced level of democracy at that time. According to accounts in Bishop Hannington’s diary, Chief Luba of Busoga had demanded of the Bishop on his arrival on the 21st of October 1885, ten guns and three barrels of gun powder. The Bishop declined. It enraged Luba who imprisoned him. During those eight days of detention, Hannington remained in the hands of friendly prison guards who could have facilitated his escape. But he declined their offer. On the 27th of the same month, when he realised the gravity of the situation, it was already too late. 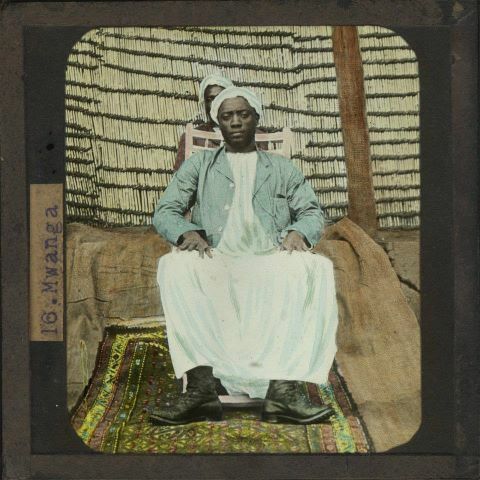 No white man had ever been killed in Buganda, thus it had never occurred to him that he would be the first. The next day, emissaries from Mengo arrived from Mwanga, and their message sealed Hannington’s fate. “In ordering the execution of Bishop Hannington, Kabaka Mwanga was not against Christianity. If the Bishop had not used that route (Busoga) he would not have been executed. You know how the disciples informed our Lord, (Jesus Christ) that the Samaritans had prevented them from using the short route to Jerusalem and requested that our Lord send fire to consume them. The Lord refused. This confirms that our Lord is against stubborn men. He also says that when you are unwelcome in one town run to another town. Kabaka Mwanga went down in history as a man who wronged the Bishop and by extension Christians. This provokes incredulity in those who cannot afford to rationalise European imperialism. If Mwanga’s story were taught with sincerity in our schools, perhaps we might have gotten to know the man for who he really was. By going beyond the stereotypical narratives written by European scholars, we would gain more balanced perspectives in understanding different interpretations of our own history. Glad to learn a bit of the other side of the story. I have gotta start teaching my pupils like you do suggest I should. You are right to say that, we, teachers bring out a bad picture of Kabaka Mwanga. Let me hope that you are sure of the information you’ve written here.